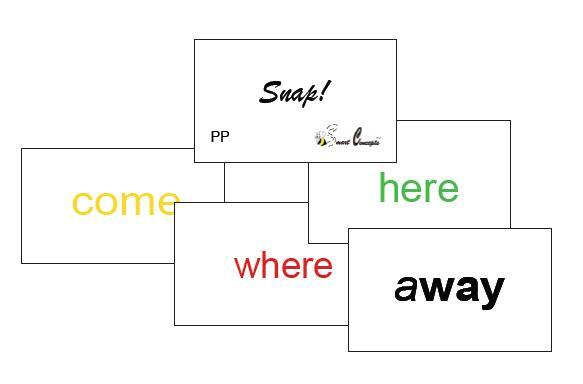 In SNAP, words are color coded according to the three kinds of words referenced in the Bee Smart manual, Intervention Without Tension. Green words can be read and spelled by syllable pattern; yellow words are word families; red words are words that must be memorized by letter name for reading and spelling. When a morpheme (prefix or suffix) is added, the word is coded in black.